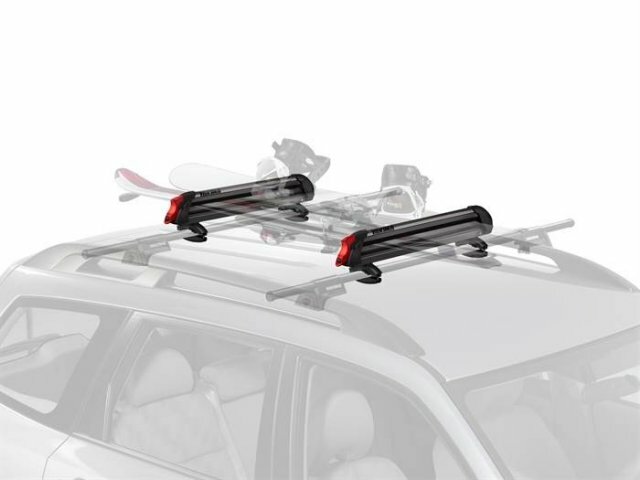 The Yakima Big Powderhound comes from a long line of good racks, still has the old traditional shape and it doesn’t disappoint. 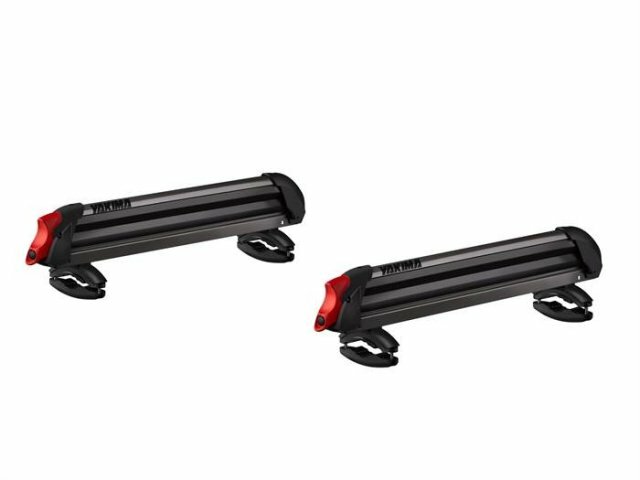 The only difference between the FatCat and the Powderhound Rack is that the FatCat has a more aerodynamic shape. It is only more aerodynamic when their are no snowboards mounted. I use to own these before I bought the Fat Cats and they always worked great. When the snowboards are on the aerodynamic advantage is negligible. The Powderhound has many sizes. The Small Powderhound is one snowboard wide and can hold 2 snowboards stacked. The Small Powderhound can hold 2 snowboards wide and 4 stacked. If you are a gear whore or have lots of friends then the Big Powderhound is the way to go. If you run solo and only have one or 2 boards then the Poswerhound will work. 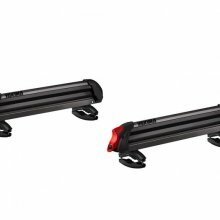 We have found Yakima to be incredibly reliable and last for years on end. 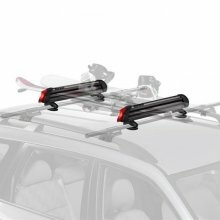 It’s hard to recommend another rack after using Yakima so long. We try to get as many images of the Yakima Big Powder Hound, but forgive us if they're not all there. I am very disappointed in Yakima. They used cheap, rust prone springs on a ski rack meant to be used outside in wet conditions. The spring overlays the cheap plastic pins that holds the rack together. The rusty springs chew right through these under conditions of normal use, rendering the rack totally unusable. This product was not designed well yet they reject the warantee when you inform them of the problem with their product. Beyond this the locks were constantly stuck, the latch is cheezy and the red plastic colorant they chose fades in sunlight, making the rack look awful. I wish I had purchased a Thule. Never again will I go Yakima.